American Surrogacy will work with you to coordinate with your surrogate’s preferred hospital, and we’ll help make sure that they’re prepared for a surrogacy birth, as some hospitals haven’t experienced this before. Ensuring that the necessary hospital staff members are informed about your birth plan will help prevent any snags in you, your surrogate and her family, and your baby being able to access one another freely. Having your relevant paperwork on hand can help communicate this to hospital staff, which rotates frequently. Having something quiet that can keep you busy while you wait for your baby’s delivery can be surprisingly helpful for both you and your surrogate! 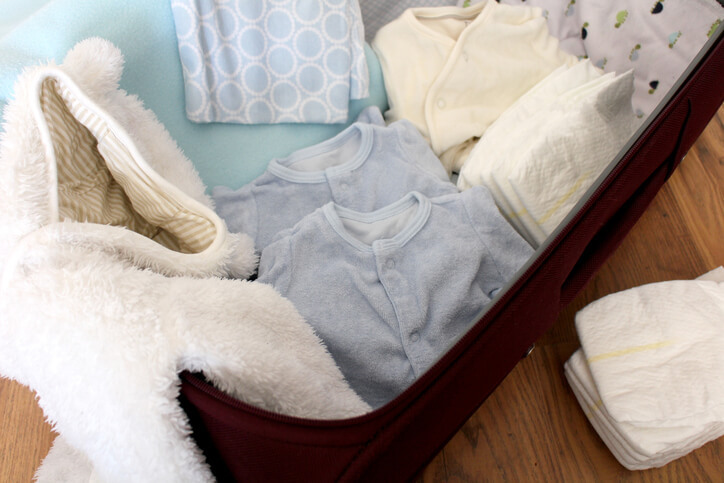 Bring what’s essential for keeping your baby warm, comfortable, safe and fed. Most importantly, have the car seat ready. The hospital usually won’t let you leave unless they know it’s safe and installed correctly. Meeting your child is one of the most important moments in your life, but you don’t need to bring a bunch of extras. Just focus on a few essentials and yourselves! Your American Surrogacy specialist will help you and your surrogate to create a surrogacy birth plan that you’re comfortable with, and make sure you’re ready for your hospital stay. Contact us now at 1-800-875-BABY (1-800-875-2229) to begin your surrogacy process.